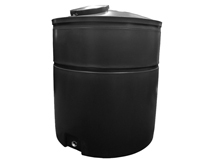 Our insulated tanks provide a cost effective alternative to insulated GRP/FRP water storage tanks. Without the need for unsightly insulation jackets, which are prone to deteriorate and are not suitable for external use, the water is integrally protected from extremes of heat or cold. 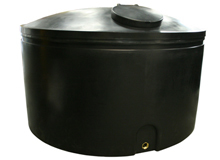 Of bunded construction, the inner tank is insulated with high grade polyurethane foam with a standard thickness of 25-30mm. This set foam is predominantly closed-cell rigid and is thermally stable between -30°C and 100°C. The outer tank ensures that the insulation is fully encapsulated and protected from external conditions to prevent degradation of the foam. The covered bund also prevents the collection of debris and rainwater.